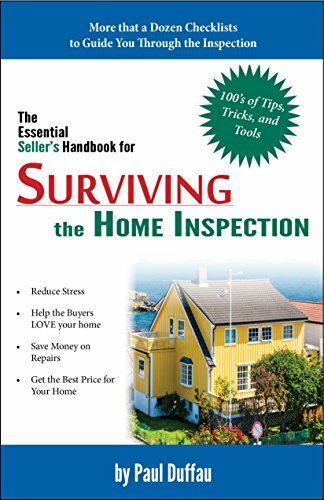 Surviving the Home Inspection Checklists, for use in conjunction with the Essential Seller's Guide to Surviving the Home Inspection. A how-to manual on getting ready for the home inspection. The following are the checklists from Surviving the Home Inspection for you to use in getting your home ready for the inspection. If you have any questions or suggestions, please do not hesitate to contact me via this website.